Many long time readers don’t need an introduction to Mungo, our well-loved Jack Russell who is my constant companion in the garden. Every garden should have a garden dog, and if you’re a cat person instead, every garden should have a garden cat. We’ve got both (well, several when it comes to cats) and they add a great deal to our lives here at Oldmeadow. Mungo is a scruffy rough-coated Jack Russell with a fantastic temperament. 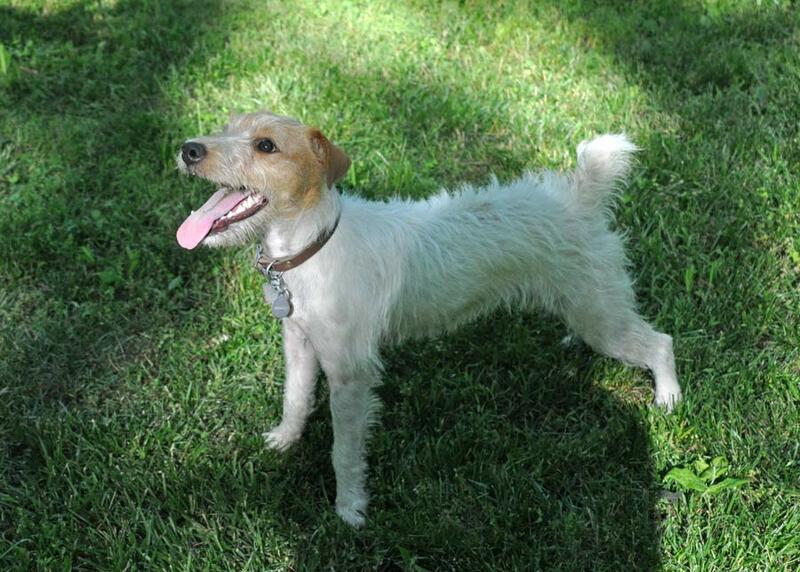 He is 100% Jack Russell Terrier and was bred on a farm in central Maryland. We have had several JRTs over the years, but about seven years ago in-between dogs, I walked into a tack shop in Mt. Airy, MD for a riding helmet and practically tripped over the two chilled out JRTs lying on the floor who were letting customers step all over them. Mungo is almost six years old now and lives an incredibly active life when he’s not lying next to my feet in my office as I type. He’s a skilled hunter, and has kept the population of groundhogs to manageable levels over the last five years. He follows me all over the garden, waiting for me to throw weeds, dirt, manure, rocks or anything else so he can chase it. I’m embarrassed to say that In Big Dreams, Small Garden, he featured more often my children. Mungo is very dirty most of the time, but that’s fine because his rough wiry coat is intended to dry quickly and repels a lot of mud that other softer dogs keep with them. He’s got a Corgi girlfriend on a neighboring farm and a much-more-handsome-than-he lab/husky cross best friend in a cushy subdivision across the river. Life is good for Mungo – and I’d like him to tell you about it. You can find his first post here. Well, now I do not feel so bad for talking so much about Rhody.